One of my favorite atheist philosophers is Graham Oppy, Professor of Philosophy and Associate Dean of Research at Monash University and Associate Editor of the Australasian Journal of Philosophy. 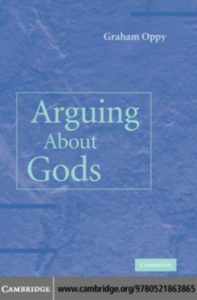 Having read (and reread) the opening to his awesome book, Arguing About Gods, I wanted to summarize his list of philosophical arguments that pertain to the existence or non-existence of a monotheistic God. In other words, no data, just presuppositions. Once you start including data you’re into cosmological arguments. If a maximally great God is possible, He must exist in all possible worlds. Oppy also argues that general mereology (the study of how parts of the whole interact) is a priori (definitional), and could be considered ontological, but again, when you start using observations in your mereology, you are now into cosmological arguments. Again, Oppy provides a great definition, though it broadens the scope of such arguments beyond the simple first-cause argument. This broadening subsumes the Moral Argument, which is often listed separately from the Cosmological Argument. Cosmological arguments for and against the existence of monotheistic gods are arguments with key premises that advert to very general structural features of the universe and/or our ways of theorizing about the universe – temporal structure, modal structure, causal structure, explanatory structure, intelligible structure, axiological structure, and the like – of which it is not plausible to claim that we have an exhaustive a priori knowledge. Temporal Structure: The A and B theories of time 5 are one important type of time argument. Are we existing and growing in one moment of time (A), or are the past/present/future all existing at once (B), so that we could travel back in time? If B is true, subsequent logic may require an infinite past, or deny a start to space/time. And if there is an infinite past, that may mean we don’t need a creator who started time and space. But if science has proven that time and space did have a beginning (Big Bang), does that mean that the A-theory of time is true, and therefore, we need a prime mover, a Creator? Modal Structure: Modal data are facts about how things could, must, or could not have been. They involve the impossibility of some counterfactuals – is God impossible? Is atheism impossible? When we compare reality to what it implies (e.g. as in the above, if the universe has a beginning, does that mean God must exist?) we see this type of logic (yes, these overlap a little). For modal arguments, think only in terms of possibilities (only must or cannot, yes.no) not probabilities (could). Causal Structure: This is the meat and potatoes of the Cosmological argument. Nothing comes into being uncaused, but has a cause before it. If the Universe and time had a beginning, they needed a prime mover. And that prime mover had to be outside of time and space, incredibly powerful, and volitional (it had to choose to change what had existed). That sounds like any common definition of an almighty God. Axiological Structure: Also known as the Moral Argument for God, the existence of moral absolutes is posed as an argument for an independent law giver. This argument is asserting that God is not necessary for good to exist since good exists separate from God. Either that, or good is only so because God commands it, then good is arbitrary (it’s not intrinsically good or bad). Of course, William Craig has well argued that this is a false dilemma – God declares what is good because He IS good, not because goodness exists apart from him or is only so because of an authoritative declaration. Physical: How is it that the physical constants such as nuclear and gravitational forces are so finely tuned, that if they were changed even slightly, no universe would exist? Chemical: I’m not sure of any chemical arguments, but the amazing properties of water and carbon and their role in life might be important arguments for design. However, you could argue for godless evolution with chemical biogenesis as the creator of living things, though this has yet to be proven in the laboratory. Biological: Why does DNA seem to have informational content? Does information require and intelligent source, or can it evolve from disorder, and if so, by what observable or testable laws? And how can we explain the origins of life with or without God? The mere complexity of living systems seems to fly in the face of natural causes for such phenomenal designs. Even atheists can’t help using the term “design” when referring to nature, even though they know they shouldn’t. Oppositely, you could also argue that Darwinism has removed God or an intelligent creator as a necessary cause for complex life. Psychological: How can consciousness and mind be explained? As merely an emergent property of physicalism, or as a reflection of a mind that created it, or as a separate independent entity (spirit)? Social: Why do creatures and men organize themselves into societies? Does this indicate a God who programmed them to migrate or organize? Other classes that Oppy lists are as follows. Although the standard moral argument for God (moral absolutes exist, therefore God exists) is now, according to Oppy, part of the Cosmological Argument, there are other moral arguments for and against God that are moral, but that also be fit into other categories. Oppositely, I would guess that the problem of the Hiddenness of God would fit here as well. Mismatches between happiness and deserts: Why are some people poor but happy, while others are rich and unhappy? Alleged greater happiness of believers: If believers are more successful in life by various measures such as marriage retention or happiness, does that indicate that their beliefs are true? This argument cuts both ways. There are good arguments for the non-existence of god, (how could a good God allow evil to exist), for which there are many responses, known as theodicies. None of these responses argue that the existence of evil proves there IS a God, they merely attempt to argue that the existence of evil does not make a good God logically impossible, or even improbable. It is widely held in philosophy that Alvin Plantinga’s free will defense has defeated the argument that the existence of evil demands that an omni-benevolent and omnipotent God cannot exist. He shows that it is at least logically possible that a good God could have reasons for allowing evil. Oppy argues that these arguments can be classified as both teleological and moral arguments, fitting into two of our major categories above. Pascal’s wager: A smart person would, based on the mere consequences of being wrong, bet that God exists. Read my four part series on this here. There are also cumulative arguments that somehow combine these arguments into more powerful meta-arguments (or cases) for and against the existence of monotheistic gods. While this is doubtless so, there are pitfalls that we must be careful to avoid. If we have two valid arguments, each of which entails the conclusions that a particular monotheistic god exists, then we can form a disjunctive argument that also entails the same conclusion. More generally, if we have a large collection of valid arguments, each of which entails the conclusion that a particular monotheistic god exists, then we can form a multiply disjunctive argument that also entails that same conclusion. However, it should not be supposed that a ‘cumulative’ argument that is formed in this way is guaranteed to be a better argument than the individual arguments with which we began (even if we are properly entitled to the claim that the arguments with which we are working are all valid). For on the one hand, if all of the arguments are defective on grounds other than those of validity – for example, because they have false premises, or because they are question-begging – then the cumulative arguments will also be defective. But on the other hand, if even one of the arguments with which we began is not defective on any other grounds, the it is a cogent argument for its conclusion, and the cumulative argument is plainly worse (since longer and more convoluted). So at the very least, we have good reason to be suspicious of talk about a cumulative case for the claim that given monotheistic god does – or does not – exist that is based upon a collection of (allegedly) valid arguments for the claim…. Talk about a cumulative case makes much more sense if we suppose that we are dealing with ‘probabilistic’ – or ‘inductive’, or ‘evidential’ – arguments…. Individually valid arguments may not be stackable because they may entail different or contrary premises, or be begging upon one another (you assume one to prove another). 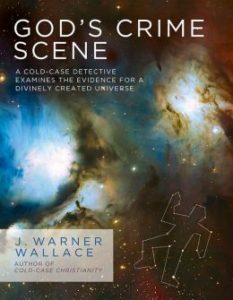 Interestingly, noted apologist and cold case detective J. Warner Wallace approaches his justification of God’s existence using all three of these types of cumulative approaches (probabilistic, inductive, and evidential) in such books as God’s Crime Scene: A Cold-Case Detective Examines the Evidence for a Divinely Created Universe and Cold-Case Christianity: A Homicide Detective Investigates the Claims of the Gospels. Wallace is a thoughtful and mellow dude, but very organized and smart when it comes to evidential argumentation, you can check out his podcast. Graham Oppy is one of the reasoned contemporary atheist thinkers, not one of the loudmouthed antagonists. For those wanting to think philosophically about God, his writings are gems. And hopefully, this introduction to his organization of philosophical ideas about God has been as enjoyable to you as it has been for me.